Thanks to a VERY GENEROUS donor, we were recently able to acquire something of a holy grail for me and my scanner: an original 1983 promotional handbill from Nintendo, advertising the games that were slated to be coming soon to the Famicom. 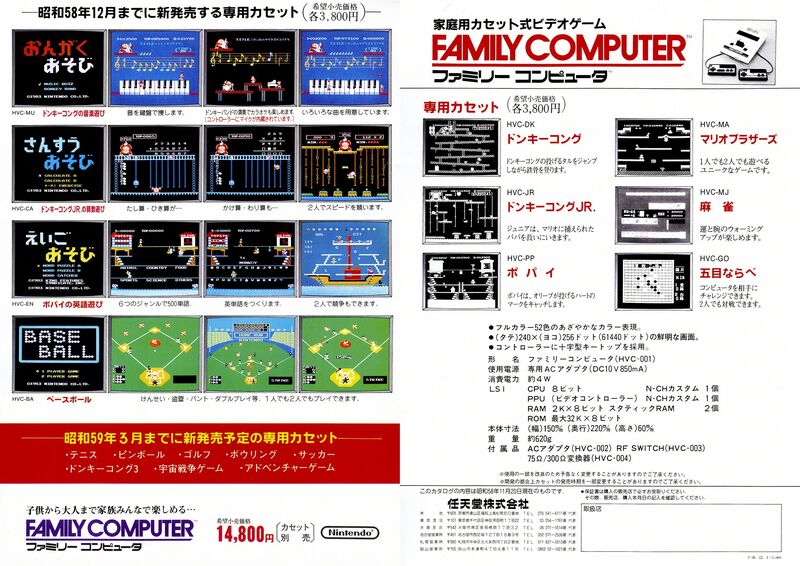 The flyer is historically important on its own, as what might be the first promotional piece out of Nintendo to advertise upcoming Famicom software. But what really makes this flyer stand out, and what has made it sort of a holy grail for us, is the game advertised at the very top. 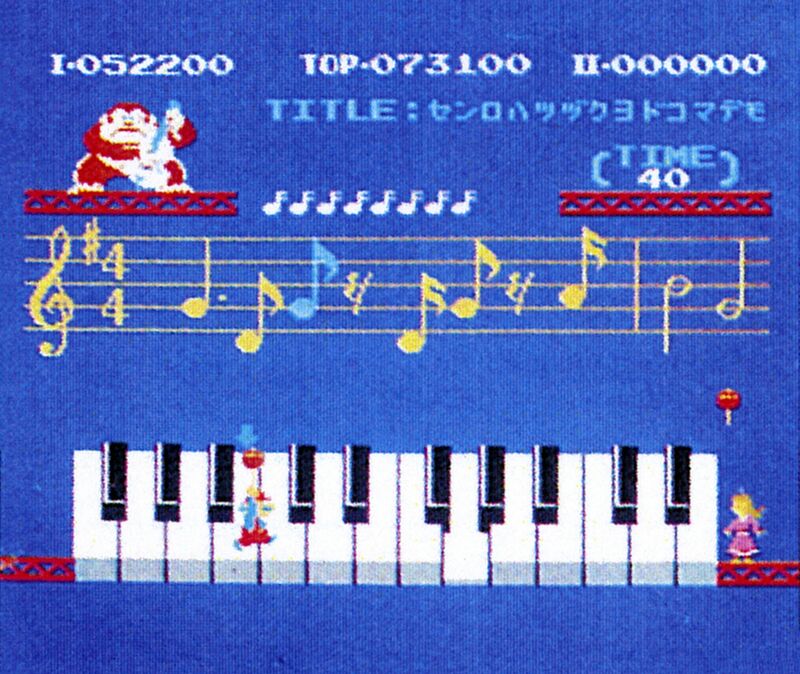 This is ドンキーコングの音楽遊び (Donkey Kong no ongaku asobi, or “Donkey Kong’s Fun with Music“), a game that – despite being advertised here as a game that “will be released by the end of December, 1983,” never actually materialized. 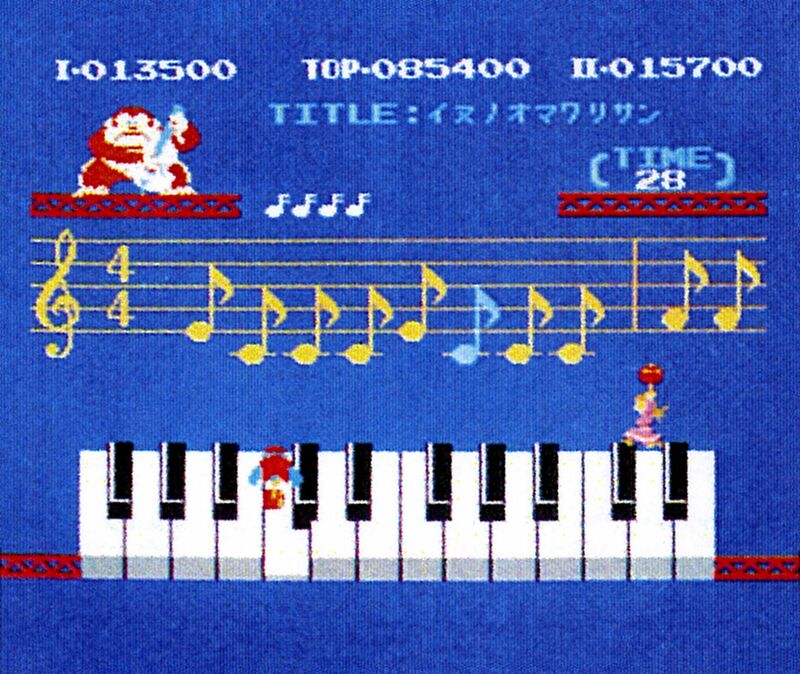 It is, perhaps, the earliest known lost work from Nintendo, and almost certainly the first lost Mario or Donkey Kong game. 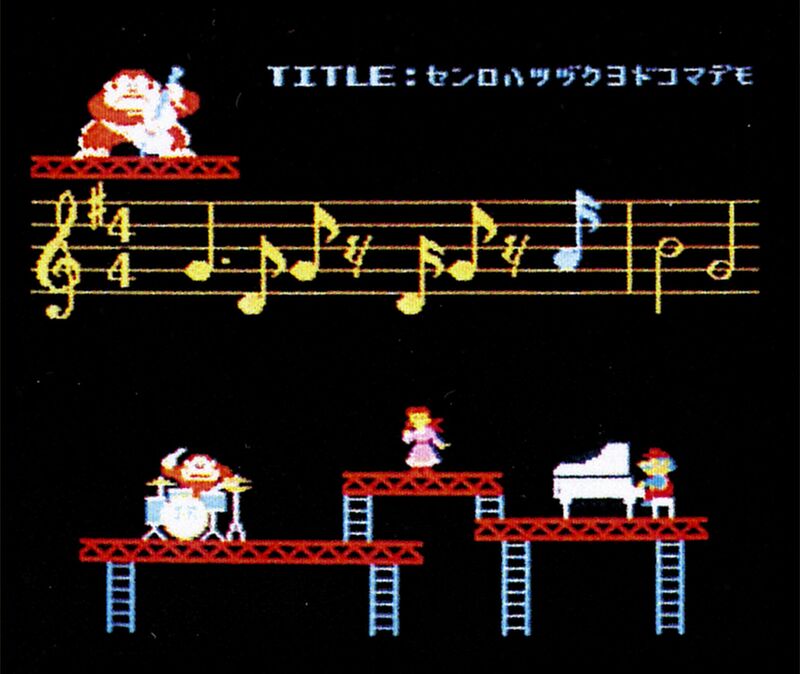 A lot of you are probably familiar with Donkey Kong Jr. Math on the NES which, somehow, was also published in the United States. 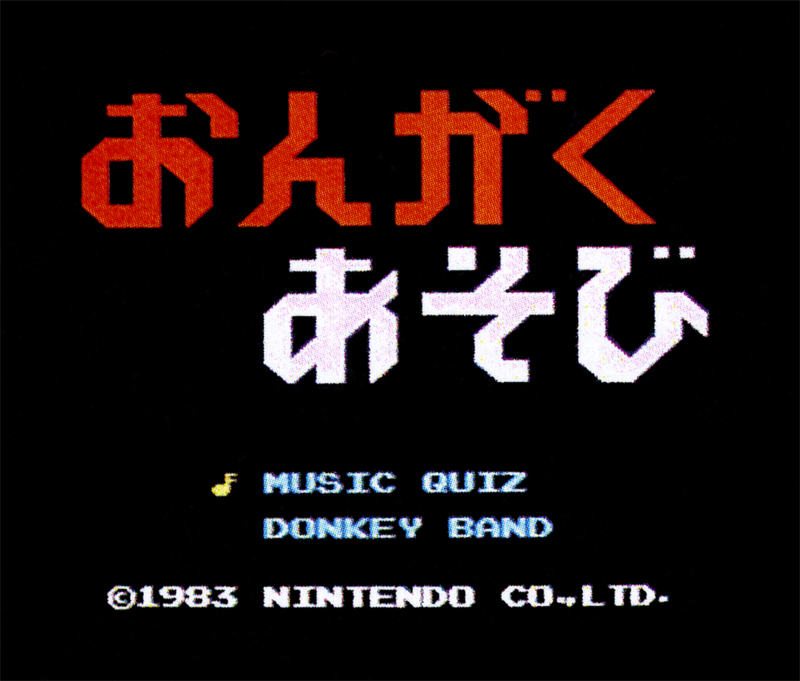 What this flyer illustrates is that the game was part of a proposed trilogy of “Asobi” (or “Play”) titles: Donkey Kong’s Fun With Music obviously being one of them, and the third being “Popeye’s English Game,” which came out in Japan but was never brought to the U.S. for obvious reasons. What’s really cool about this trilogy is that all three are based off of the three titles that actually launched the Famicom in July of 1983: Donkey Kong, Donkey Kong Jr., and Popeye. Also worth noting is this red banner on the front of the flyer. Bowling is another unreleased Nintendo title from this era, one which as far as I know has never been seen. “Space War Game” and “Adventure Game” are obvious placeholders and not real titles, but they don’t correspond to any Nintendo-published Famicom games of the early 80s, so they seem to be lost too!